Aside from the Christmas gifts we handed out last week to our friends during the thanksgiving celebration at Church, we also had to anticipate the unexpected. 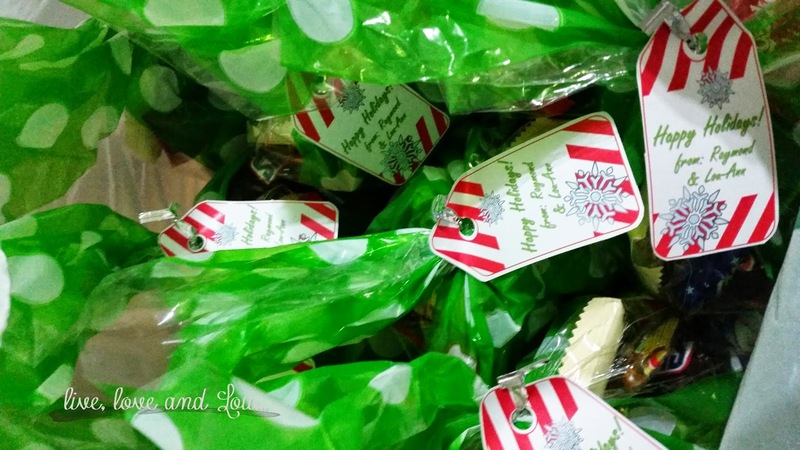 As of last year (2013), Raymond and I had prepared ourselves with goodie bags for those unexpected attendees at Church. 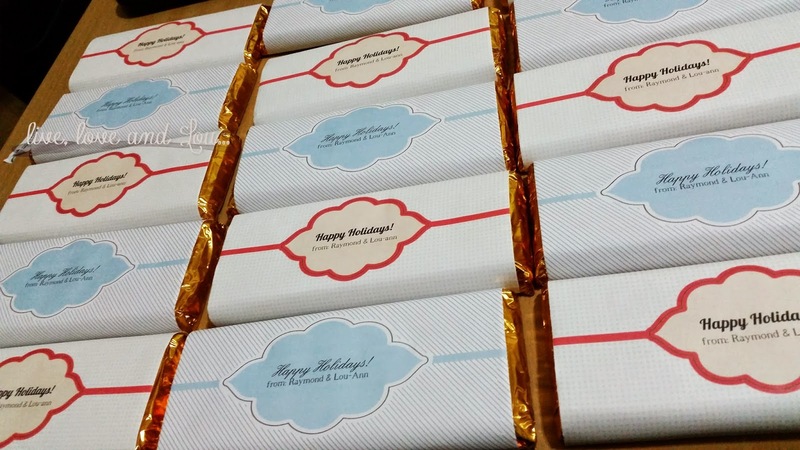 We wanted to make it a little personal but since I am not one to cook or bake or do anything in the kitchen, I just downloaded some printable chocolate wrappers online. You can browse different designs from the internet. I chose these simple ones from Intimate Weddings. Of course, you can edit the text through PDF. They also have a tutorial on how to change the wrapper of your chocolate bar. I love this site, they have lots of free printables and tutorials you can use for any occasion, not just weddings. 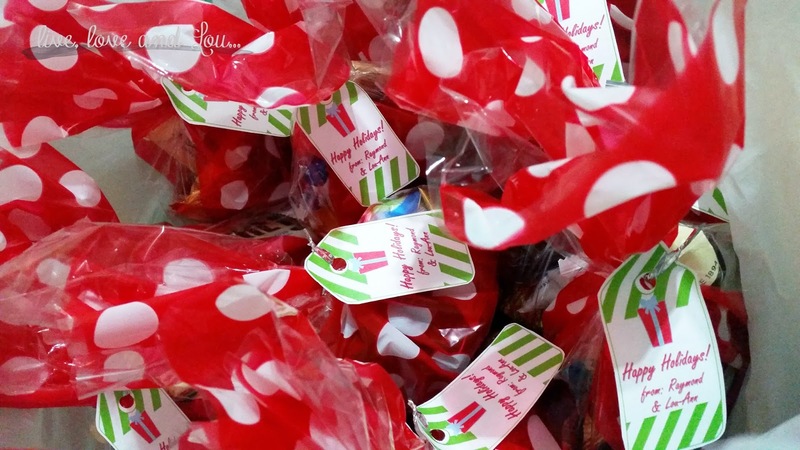 I got the bags from Crazy Party at Villagio Mall and just filled them up with chocolates and candies. I am so looking forward to next year, until then, I'll be busy doing other projects that I hope I can share with you guys. Thanks! Thanks also for dropping by my blog. I would love to meet and have coffee with you. I'll let you know soon! And please do tell me when you'll visit Doha.